Real Estate business is becoming big here in Cagayan de Oro City. Because a lot of investors and businessmen are venturing in property development, realty firms are also growing in numbers. The many property developments here in this city, the greater opportunity in sales it gives to the brokers and salespersons. In the said event, known personalities of the real estate business were present. Ms. Gigi C. Roa, the Interim President of PhilRes Mis Or Province Chapter were there to give the opening remarks. She welcomed the brokers and salespersons of different realties as well as the guests. 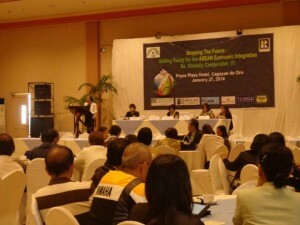 President Charlie V. Gorayeb gave a message in behalf of CREBA National. To talk about the Global Opportunities with NAR Cooperating partners in Asia Pacific and Gulf Region, we were graced by the presence of Ms. Shonee Henry, NAR’s Regional Director. NAR’s 2014 PL to the Philippines, Ms. Jennifer Tasto encouraged the attendees to go beyond their boundaries and be an International Realtor member. Ms. Evangeline Yia, CREBA NAR Global Alliance’s Chariman invited the attendees to get their listings sold to a certain website. At the end of the program, Mr. Shim Suan, VP of COREB, Inc. gave the closing remarks. 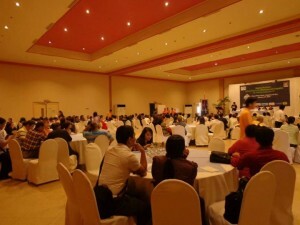 We in RPM Realty were privileged to have attended the said event. We did not only get to learn so many things from the speakers, our pioneer and new agents got the opportunity also to renew and be a member of IRM. Congratulations to the organizers for the successful event. Looking forward for another great event like this.